I am going to be very honest in the post. The most important thing in life is balance. Just think about how the world works. Sun and rain, hot and cold, summer and winter, night and day and the list goes on. Balance is a requirement for the earth to function and it is my belief that balance is necessary for humans to be happy. Yes, we have goals, and yes we work hard to attain those goals but we also have people in our lives that need us and times in our lives when we need to rest, re-evaluate and look at where we are. When I looked at my blog the other day, I realized I had not written since October….wow!! That is not good and it is a sign that my life is off balance. When I decided to compete, I went into it with the mind set of encouraging others and pushing myself to reach a goal that many people shy away from. It was fun, and I learned a lot about my body and myself. I placed in my first show and I met a lot of cool people. So naturally I wanted to do it again. I did a show a few months later but that time was not as fun. It felt like a drain and I wondered was I still doing it for the right reasons. After the second show, I had a little off time before I prepared for my 3rd show. Now I am going to be very honest with you readers….this last show was the worst prep of all three. I got sick my very first week, I had financial issues while still trying to pay for everything I needed, and I did not come in at my best conditioning. Yes, I looked okay but not the way I know I can look. It just was not fun. Training for competitions is mentally draining and if not done properly, potentially damaging to your body. I am proud of myself for making it through and now I have a testimony to share with others. But for now..I think it is time for me to stop…and LISTEN. I need to listen to God, and myself. Is this really what I want. Why am I competing? Why am I spending all of this money? I have lost touch with what I love which is motivating and inspiring others to create a change in their lives. I want everyone to know that they can live healthy and still have a fulfilling life. Competing has taken me away from my purpose which is my own fault because I allowed that to happen. Now I am not saying I will never compete again because I WILL! But this time, I am going to do it the right way…allowing myself enough time to get lean, staying lean in the off-season, and keeping things in perspective. 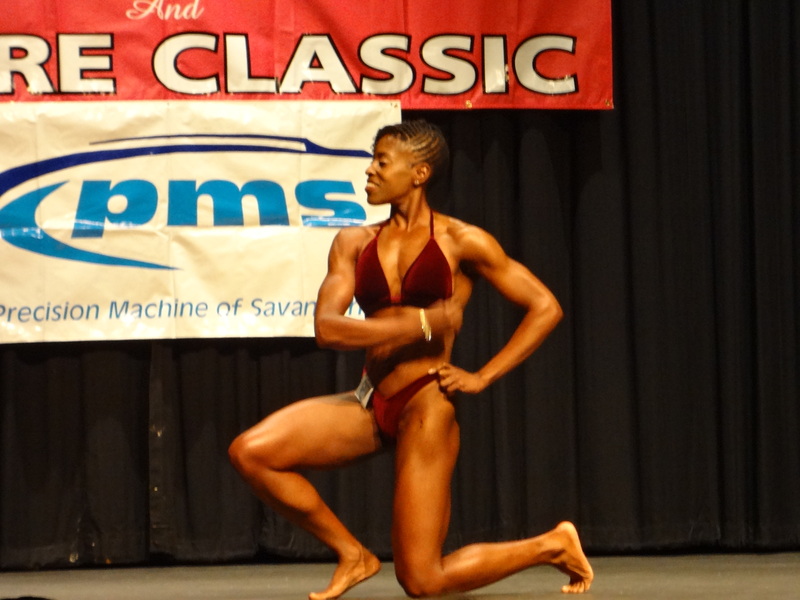 I am also going to compete in other areas to get a change and have some other judges take a look at me. I still want to do it but right now, I need to get myself back in balance…I need to spend more time with my boyfriend, friends, and family I need to enjoy my life. I am studying for the certified personal trainer certification with NASM because I want to know exactly what I am doing with my body and how to do it. I also want to help others and know I am not just telling them from experience but from science. My whole life is getting ready to change…I can feel it. So let me take my “break” while I prepare for the greatness that is to come!!! I am back!! !